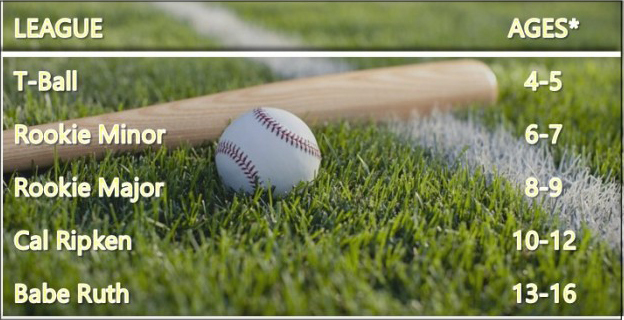 Registration is now open for the 2019 Spring League with five divisions including Tee Ball: Ages 4 & 5, Rookie Minors: Ages 6 & 7, Rookie Majors: Ages 8 & 9, Cal Ripken: Ages 10 to 12, and Babe Ruth: Ages 13 to 16. The YAO Bermuda website said, “We will have five divisions, based on your child’s age as of May 1st, 2019. There will be no switching of age divisions without approval of the YAO Board. “Based on registration as of March 1, players will be assembled into teams and assigned to coaches by division Commissioners. Coaches will then contact their team with a full schedule for the year including practices and games, with practices starting in March. We make every effort to group siblings, cousins, etc. while also keeping the teams fairly balanced. The earlier we get all the registrations in the better a job we can do of assigning teams so please register ASAP. Rookie Minors: Saturday games: 10AM, 12PM, and 2PM at Kindley Field. One weekday practice, time and location decided by coach. Rookie Majors: Saturday games: 10AM, 12PM, and 2PM at Kindley Field. Up to two weeknight games and up to two Sunday games. One weekday practice, time and location decided by coach. CRL: Saturday games: 10:00M, 1:00PM, and 3:00PM at Kindley Field. Up to two weeknight games and up to two Sunday games. One weekday practice, time and location decided by coach. “We always need more coaches, please note in the registration process if you are interested in coaching or send an e-mail to the link below. “Please get in touch with us at yao_baseball_bermuda@outlook.com if you or your company are interested in donating to our volunteer organization. This helps us provide bursaries – every bit counts. Also, if your company is interested in sponsoring a team please be in touch.